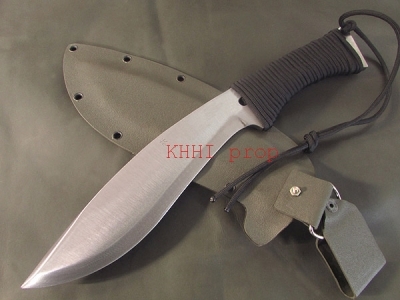 A contemporary Panawal version modified and crafted to deliver nothing but best results and intense satisfaction..
Late addition of the “Utility Blades” category, released on Jan 2011, PanaPlus is an all purpose utility kukri knife to embrace and to possess to discovering within oneself and the wilderness one indulges in. As per its exclusive name, it is a contemporary Panawal version modified and crafted to deliver nothing but best results and intense satisfaction to the user and thus PLUS. 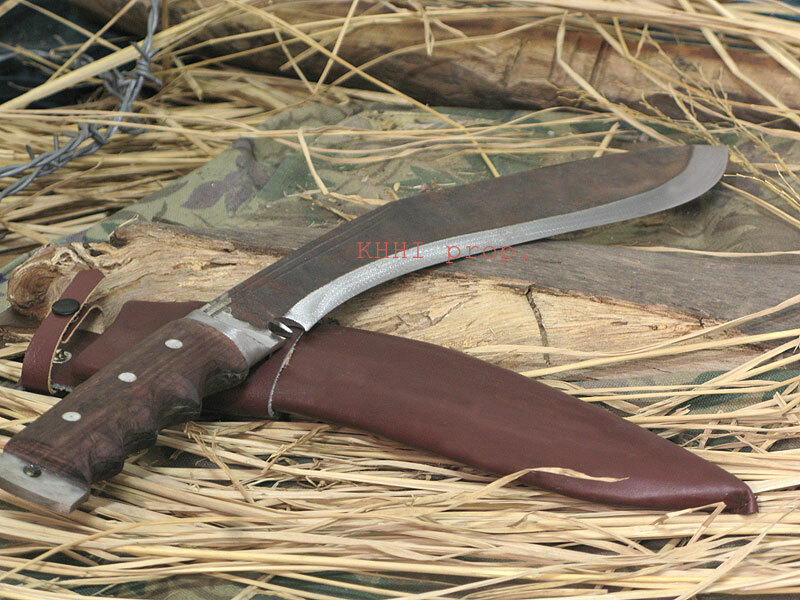 PanaPlus’s solid strength, stunning look and its special extra features, all make it the kukri knife that should always be within one’s reach at any circumstances and in all territories. Blade – forged out of 5160 high carbon steel. 11 inched bladed with RAW finishing for stronger edge and better temper. Medium weight for effective use, easy handling and effortless carriage. Edge – “Scandi Grind” for deeper impact and better outcome. 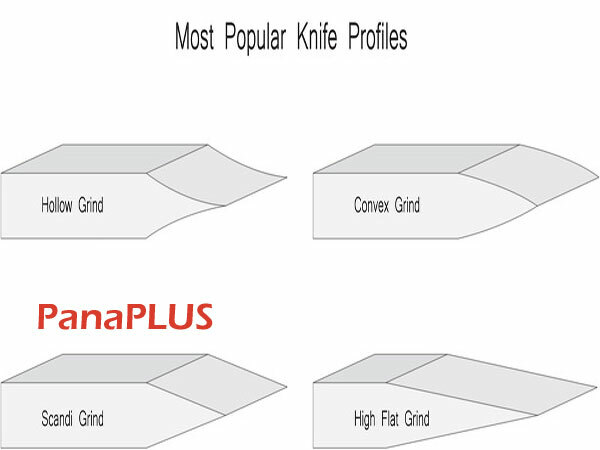 This exceptional grinding of the blade (spine + body + edge) makes the PanaPlus stand out from the herd as one of the most effective and usable knives. Handle – FFT (full flat tang) reinforced by multiple rivets. Finger grooves for firm and comfortable grip.Indian Rosewood handle to give a matching and appealing look. Lanyard hole facility to fix a thong to tie around the user’s hand. Thick metal plate bolster. 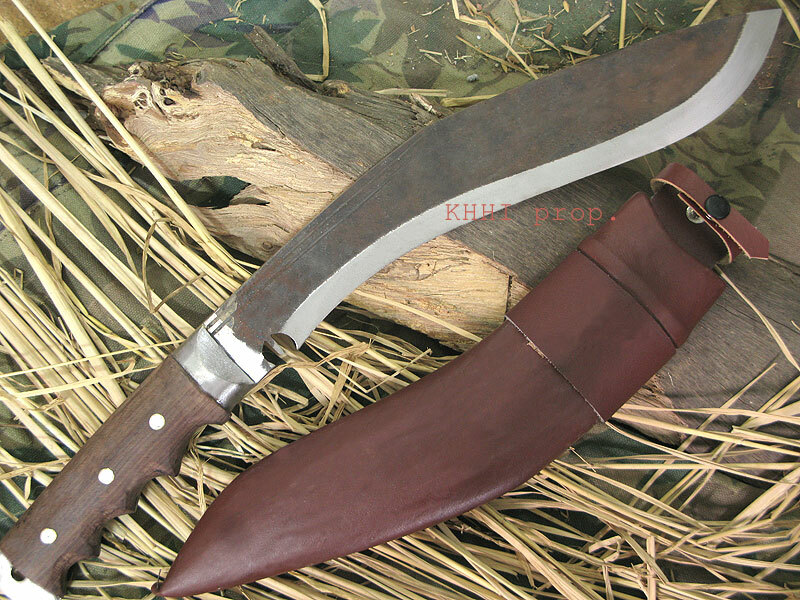 Scabbard – Brown leather stylish sheath. Frog with a belt loop (strap button) to hold the blade in its handle. 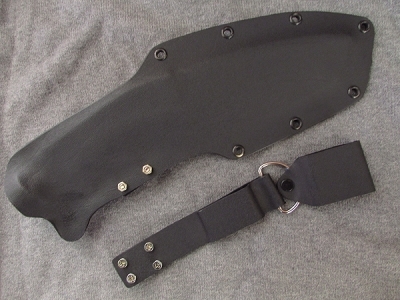 This simply but very useful aspect of PanaPlus makes the kukri so much easy to carry and travel with. The “C” cut in the throat also adds to its fashion and uniqueness. Lanyard loop in the tip to facilitate thigh attachment.